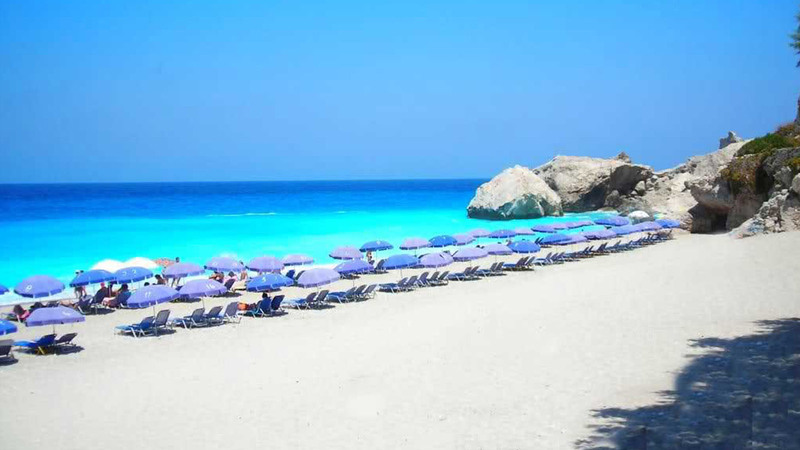 Cruise starts from Marina Vlihada and sails towards the Red, White and Black beach where you can take a swim in the crystal clear blue waters. 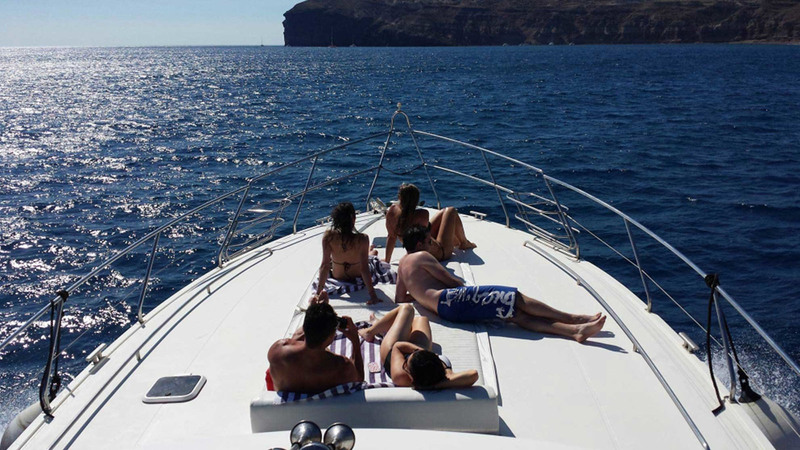 Sailing past the Famous Indian shaped rock and our Lighthouse you will cruise along side the private island of Aspronisi giving you and inspiring view of the entire Aegean Blue Sea and the surrounding Greek islands. 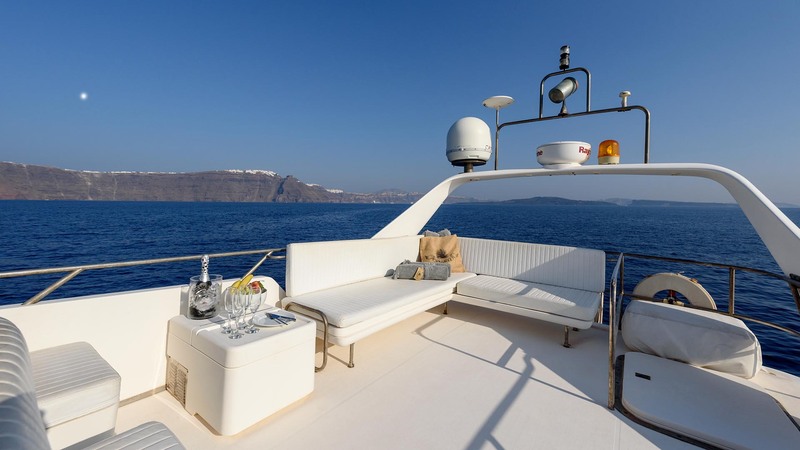 Viewing the breathtaking Caldera, you will view the towns of: Fira , Firostefani , Imerovigli , Oia and the old port of Fira. Arriving at the Famous Volcano, you will have the opportunity to explore the volcanoes crater and the famous volcanic hot springs where you can take a theraputic swim . 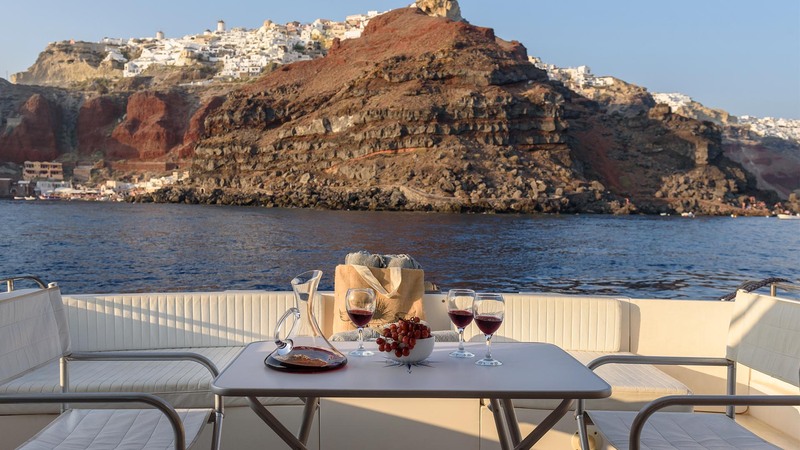 Cruising to Oia you will admire the architecture of a village literally built on lava remenents and will visit the famous church of St. Nicholas. 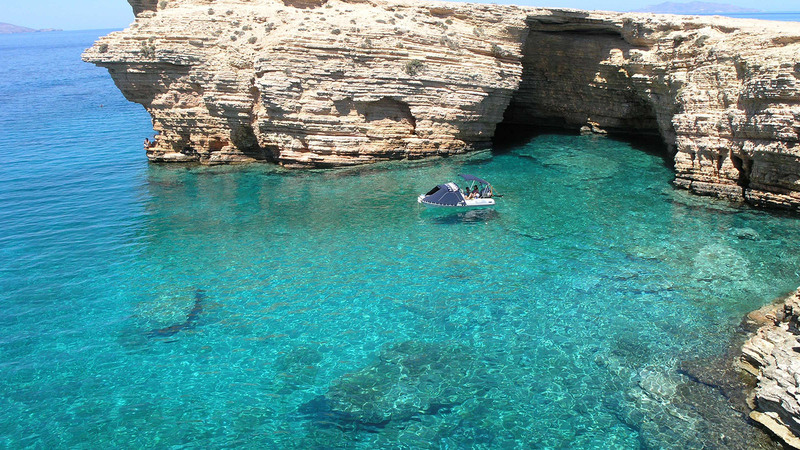 Visiting the Island of Thirassia, we will dock in order for you to explore this magnificent island. As we head back to Vlihada Marina, take a seat for our most beautiful and famous Sunset in the world. Enjoy our mouth watering Greek buffet with cold appetizers , cold beverages and tasty local wines.